1st Quote Auto Screens is leading independent vehicle glass repair and replacement company helping motorists on a daily basis 365 days a year. With several years of experience 1st Quote AutoScreens can guarantee you a safe and professional windscreen replacement service. Our services are available in London and Surrounded Area. At 1st Quote Auto Screens we understand a cracked or damaged windscreen can be a time consuming and costly experience.You choose us to repair or replace your windscreen in our local branch in London or prefer one of our highly trained technicians to come to you, assured professional replacement and repair services and the high level quality of work is promised. Up to 30% savings on windscreens. 1st Quote Auto Screens allows customers to repair their windscreens and therefore avoid the cost of a windscreen replacement. 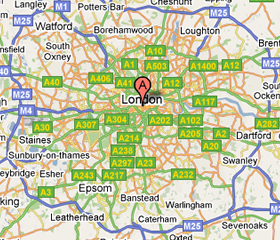 Best of all, our service is local to the london area. 1st Quote Auto Screens Replacement does not have to be expensive or time consuming. Windscreen replacement service has been delivering assistance to london and the surrounding area for 10 years. 1st Quote Auto Screens London provides a windscreen repairs service which is easy to take advantage of but competitive as well. 1st Quote Auto Screens team member will come to your aid at the roadside, your home or at your workplace to give you a windscreen chip repair service at a great price. Windscreen with a stone chip can easily develop a crack. If you see a chip in yourWindscreen we will fix it . Stone chips can lead to further damage to your vehicles windscreen. They can eventually develop into a crack if left. Your car will suffer an automatic MOT failure if the windscreen is cracked. We can repair stone chips by injecting them with resin. A chip repair can prevent your windscreen developing more significant damage leading to a crack. If you do not have a repair carried out and a crack develops the windscreen must be replaced and you will be liable for the insurance excess. Supply & fit-fix car glass, windscreens, automotive glass etc. 1st Quote Auto Screens London works closely with most of UK's major insurance companies. Contact us and once we have confirmed your appointment with you, we'll take care of your insurance claim. 1st Quote Auto Screens will contact your insurance company on your behalf, get their approval to carry out the work and take care of all the paperwork involved. 7.1st Quote Auto Screens will Supply & fit & fix damage. Use 1st Quote Auto Screens and pay less for your car rear window repair work in and around london as it is expensive and time consuming to replace your rear windscreen through national windscreen companies. 1st Quote auto screens have been serving the community of rear windscreen replacements available immediately. 1st Quote Auto Screens works closely with most of UK’s major insurance companies. Windscreen London is available 24 / 7 for your service. Call us Now. I am very happy with the services provided at 1st Quote AutoScreens. They really did a marvelous job for me and i am happy to recomend them. Thanks so much.